Sloane Stephens made the most of her first appearance at Arthur Ashe Stadium on Tuesday, beating No. 16 Anastasija Sevastova to earn her first spot in the US Open semifinals. The US Open has served as a continuation of a meteoric rise for Stephens, who was ranked No. 934 in the WTA rankings last month. In reaching the semifinals, Stephens is projected to reach the top 35. Should she go on to win the US Open championship on Saturday — she would have to advance by beating No. 9 seed Venus Williams in Thursday’s semifinals — Stephens will be in the top 15. Not a bad year for the 24-year-old Stephens, who missed the 2016 US Open with a broken right foot that needed surgery earlier this year. Her mother, Sybil Smith, looks like she could compete in professional sports today, and here’s the reason: Smith is still recognized as the best swimmer in Boston University history, and after placing sixth in the 100-yard backstroke in the 1988 NCAA championships, she became the first African-American woman to be named a first-team All-American in that sport. Smith is still BU’s only All-American swimmer and holds seven school records. 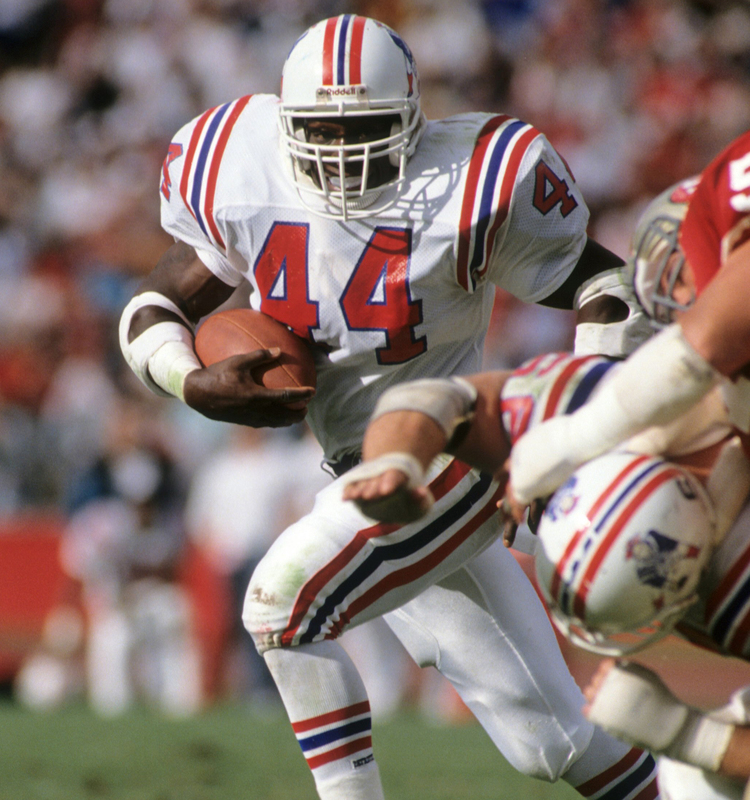 After graduating in 1988, Smith was inducted into the Boston University Hall of Fame in 1993. John Stephens (No. 44) of the New England Patriots runs with the ball during the game against the San Francisco 49ers at Candlestick Park. Her father, John Stephens, was a first-round pick of the New England Patriots in the 1988 NFL draft (17th overall) and was the league’s Offensive Rookie of the Year that season after rushing for 1,168 yards. Stephens played six seasons in the NFL, but he was never the same player after leaving an opponent partially paralyzed in a 1989 head-on collision. The couple divorced when Stephens was an infant. John Stephens died in a 2009 car accident, ending a troubled life at the age of 43. Here’s the reality: Stephens did have a poster of Williams on her wall when she was growing up but stopped being a fan after claiming she was stiffed for an autograph after hanging out all day at a Fed Cup tournament in Florida where the Williams sisters had played. An overreaction by Stephens? She claimed in the article that Williams posted a cryptic tweet — “I made you” — two days after their Australian Open match and eventually unfollowed Stephens on Twitter. 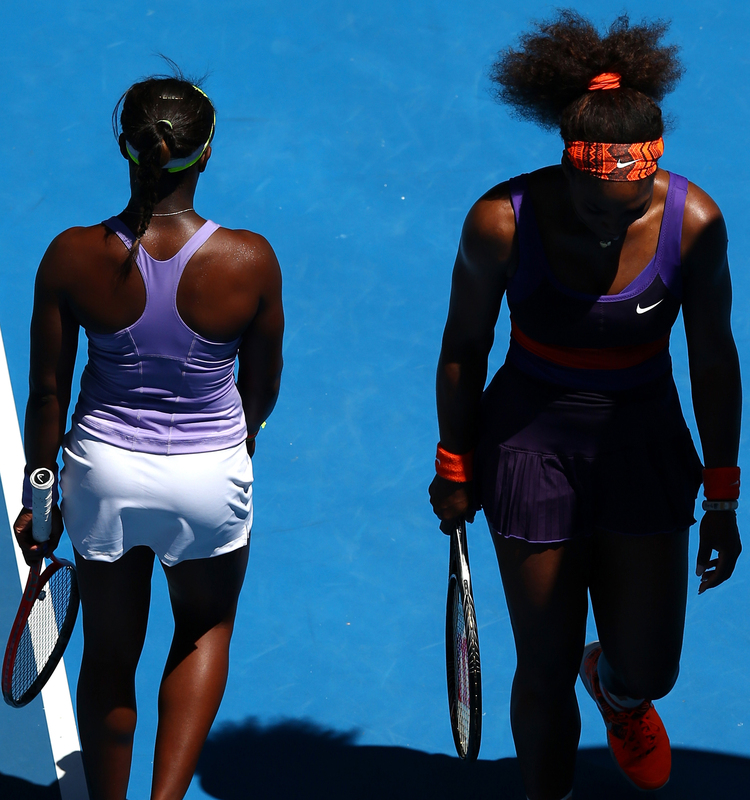 Serena Williams of the United States (right) walks past Sloane Stephens of the United States in their quarterfinal match during day 10 of the 2013 Australian Open. When both were asked to describe their relationship two years later when they met in the fourth round of the 2015 French Open, the responses appeared awkward. A soccer star with Toronto FC and a member of the U.S. men’s national team Jozy Altidore watched Stephens’ Round of 16 match from her box in Louis Armstrong Stadium. Altidore was able to attend the US Open because he was suspended for Tuesday’s World Cup qualifier against Honduras, which ended in a 1-1 tie. Are Stephens and Altidore romantically linked? Neither is speaking about a relationship publicly, although the New York Daily News outraged her fans with this tweet: “Sloane Stephens, girlfriend of Jozy Altidore, advances to her first U.S. Open quarterfinal.” The comments on an Instagram post showing Stephens holding hands with an unknown man have been turned off. That was evident during her news conference after Tuesday’s win in the quarterfinals, as a fly buzzing near her head forced Stephens to duck under the interview table. “What is that thing?” Stephens asked hysterically from under the table. “A fly,” the moderator said, calmly. “Oh, my God, it looked like a dragon,” she said as she emerged. Stephens eventually took off her sneaker and tried to smash the fly, with no success. 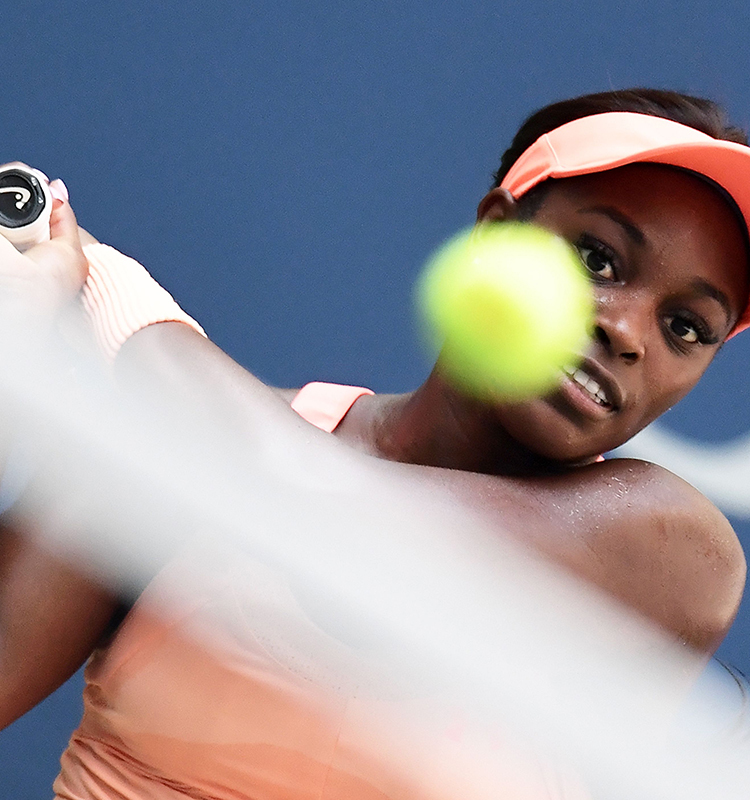 Sloane Stephens of the United States returns the ball to Anastasija Sevastova of Latvia during their 2017 US Open women’s singles quarterfinal match. In her best year to date, Stevens earned $1.4 million in 2013, when she reached the semifinals of the Australian Open. With a late start to her season as she recovered from injuries, Stevens has earned $310,546 in prize money this year. Her semifinal appearance is worth $875,000. The US Open runner-up receives $1.75 million, and the winner gets $3.5 million.